Twenty-four hours a day, the portable Public Alert Monitor receives and displays National Weather Services weather bulletins, alerts, watches, and forecasts, U.S. Emergency All Hazards bulletins, and local Emergency Alert System (EAS) bulletins and warnings. The automatic alert system triggers the radio speaker and audible-visual alert for instant awareness of conditions affecting life and property. Featuring advanced S.A.M.E (Specific Area Message Encoding) technology, the radio can be programmed to receive information specific to your geographic area. 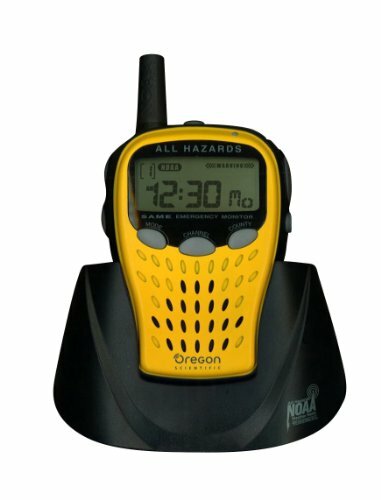 When traveling, boating, hiking or working outdoors, the WR601 will always keep you informed.